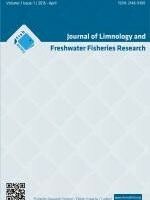 LimnoFish (Journal of Limnology and Freshwater Fisheries Research) is an international, open access and periodical scientific peer-reviewed journal, which is published three times a year, in April, August and December. LimnoFish is focused on fisheries management, ecology, biology, aquaculture, disease, socio-economy and fish processing technology topics related to only inland waters. This journal publishes research article, short communication, case report, review and letter to the Editor written in English and Turkish languages.